The Abuja Division of the Federal High Court yesterday agreed to accelerate the hearing of the suit seeking to stop any attempt to forcefully remove Dr. Bukola Saraki as the Senate President. The court further ordered substituted service of all the processes on all the defendants in the suit that was filed before it by two former All Progressives Congress (APC) senators, Rafiu Adebayo and Isa Misau. Cited as defendants in the suit marked FHC/ABJ/CS/872/2018, are the Senate, the Senate President, Saraki, ‘the Deputy Senate President, Dr. Ike Ekweremadu,’ Senator Ahmed Lawal (Senate Leader), Senator Bala Ibn Nallah (Deputy Senate Leader), Senator Emma Buacha (Deputy Minority Leader), Clerk of the Senate and Deputy Clerk of the Senate. Other are the Attorney General of the Federation and Minister of Justice, Mr. Malami (SAN), the Inspector General of Police (IG), Mr. Ibrahim Idris, and the Department of State Service (DSS). Before slating September 6 to hear the suit, Justice Dimgba cautioned that none of the parties should take any action to overreach the proceeding before the court. “Needless to say that parties are enjoined to respect the authority of the court and protect the integrity of the judiciary. “Parties should not take action to render the suit before this court nugatory,” Justice Dimgba held. The plaintiffs had in an ex-parte motion they moved through their lawyer, Mr. Emeka Etiaba (SAN), prayed the court to issue an interim order of injunction to preserve the ‘Res’ (subject matter) of the case, pending the determination of the suit. It behoves on everyone to ensure that the ship of this country does not capsize. “We pray for this preservative order to send a signal to those who may want to truncate the leadership of the Senate. 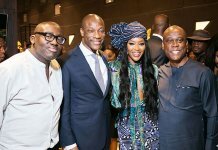 At least, let them know that there is a subsisting order of court on the matter,” Etiaba pleaded. Though Justice Dimgba declined to grant order of interim injunction contained in reliefs 1 to 3 of the ex-parte motion, he however asked all the parties to stay action capable of affecting the substance of the suit. Meanwhile, in a separate suit marked FHC/ABJ/CS/843/2018, the two ex-APC senators prayed the court for an order restraining the defendants from forcefully and illegally reopening the Senate chamber. Justice Dimgba adjourned the second case till Septmeber 13 following preliminary objections by the AGF and other defendants in the matter. The two lawmakers who are representing Kwara South and Bauchi Central, respectively, had alleged that some chieftains of their former party, APC, led by its National Chairman, Adams Oshiomhole and the AGF, had perfected plans to use security agencies to force Saraki to vacate his position as the Senate President. 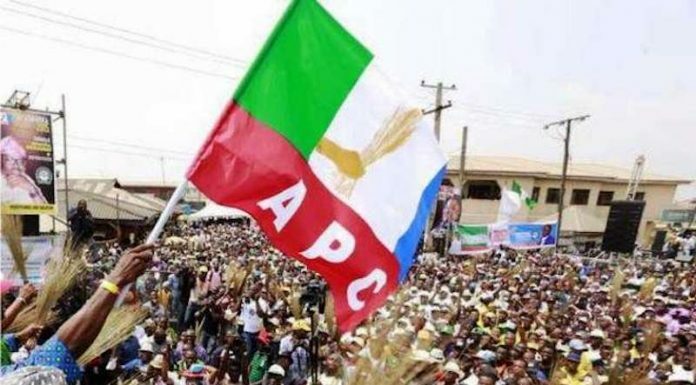 The plaintiffs told the court that they defected from the APC to the Peoples Democratic Party (PDP), owing to internal crisis they said factionalised the ruling party. They prayed the court to among other things, determine, “Whether in view of the provisions of Section 50(l)(a)and(2) of the 1999 Constitution (as amended) the President of the Senate of the Federal Republic of Nigeria, who defected to another political party as a result of division in his former political party, can be made to vacate his office other than in accordance with the provisions of Section 50(2) of the Constitution? “Whether by a combined reading of Section 50(2)(a) of the Constitution of the Federal Republic of Nigeria, 1999 (as amended) and Order 3, Rule 8 of the Senate Standing Orders, 2015 (as amended) the President of the Senate of the Federal Republic of Nigeria can be said to have vacated his office by virtue of Section 50(2)(a) of the Constitution when he has not ceased to be a member of the Senate? 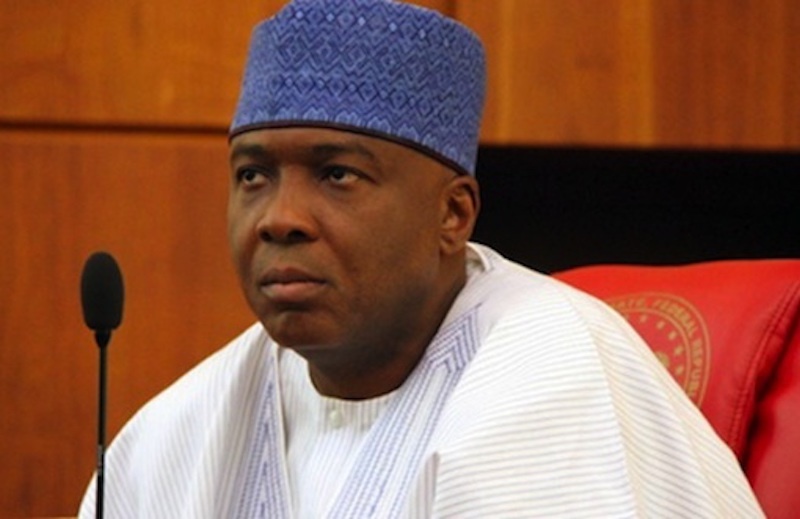 “Whether the President of the Senate of the Federal Republic of Nigeria can be said to have vacated his office as President of the Senate by virtue of Section 50(2)(b) of the Constitution of the Federal Republic of Nigeria when the 8th Senate of which he is the president has not been dissolved? “Whether the President of the Senate of the Federal Republic of Nigeria can be said to have vacated his office by virtue of section 50(2)(a) of the Constitution of the Federal Republic of Nigeria, 1999 (as amended) when he has not been removed from office by the votes of not less than progressivess maiority of the members of the Senate? Upon determination of the questions, the plaintiffs prayed the court to declare that Saraki cannot be compelled to vacate his office on the ground that he is not a member of the political party with majority of senators in the Senate. They further applied for, “A declaration that the President of the Senate of the Federal Republic of Nigeria cannot be said to have vacated his office by virtue of Section 50(2)(a) of the Constitution when he has not ceased to be a member of the Senate. As well as “An order of this court restraining the 9th, 10th and 11th defendants, either by themselves, agents, servants, privies by whatsoever name so called from enforcing any act of the 1st, 3rd to 8th defendants purporting to have removed the 2nd defendant from office without such act being in compliance ‘with the provisions of Sections 50(2) of the 1999 Constitution (as amended).”.